Here are some more of my drawings. Lately I've been drawing cartoons and Manga (Japanese cartooning style) horses and people. 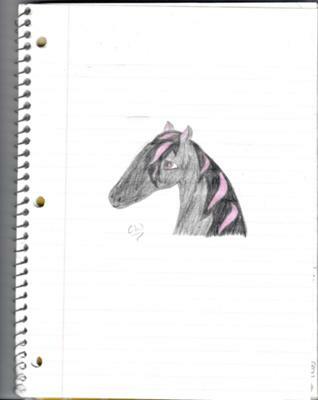 The Manga Horse I drew in about 5 minutes in the car. 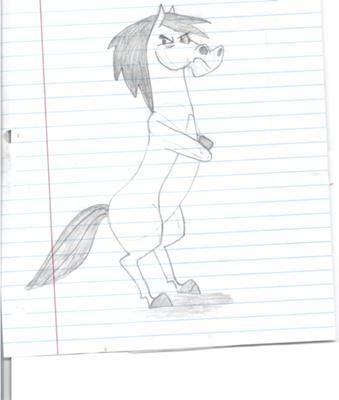 I drew the Cartoon Horse in 3rd grade, I think. 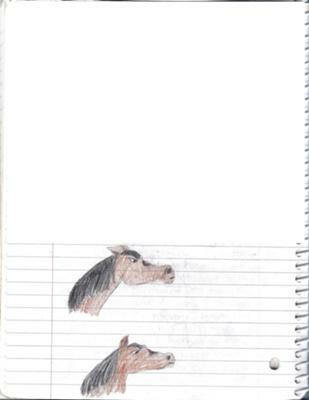 Then there's the two cartoon horse expressions I've been practicing, Angry and Happy. I know the last picture isn't a horse, but I'm really proud of it and wanted to share it with you guys. Thank you!!! I still can't decide which I should be, an artist or a vet. Horses rule!!! Awesome, Cassandra! I showed my mom and dad and they loved your drawings. My dad said you are very talented and hopes you "pursue" it as a career.